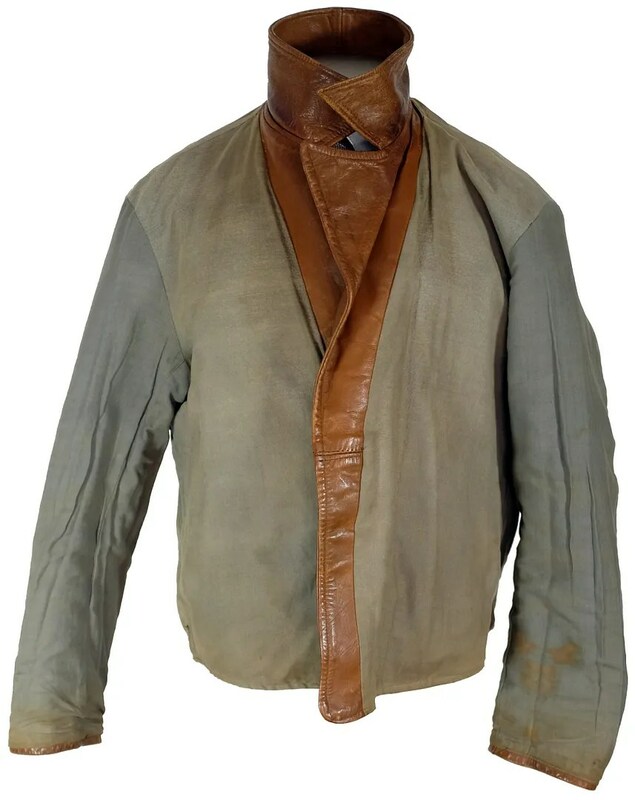 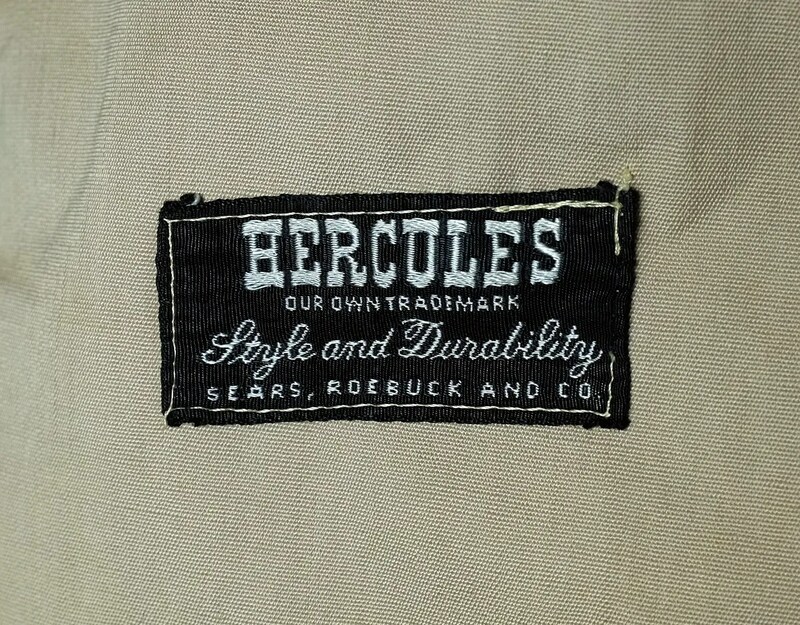 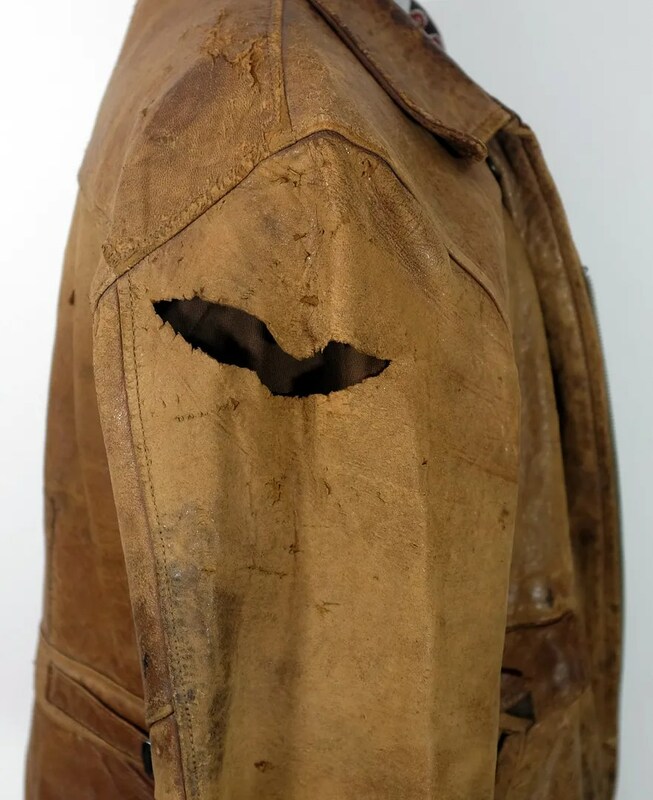 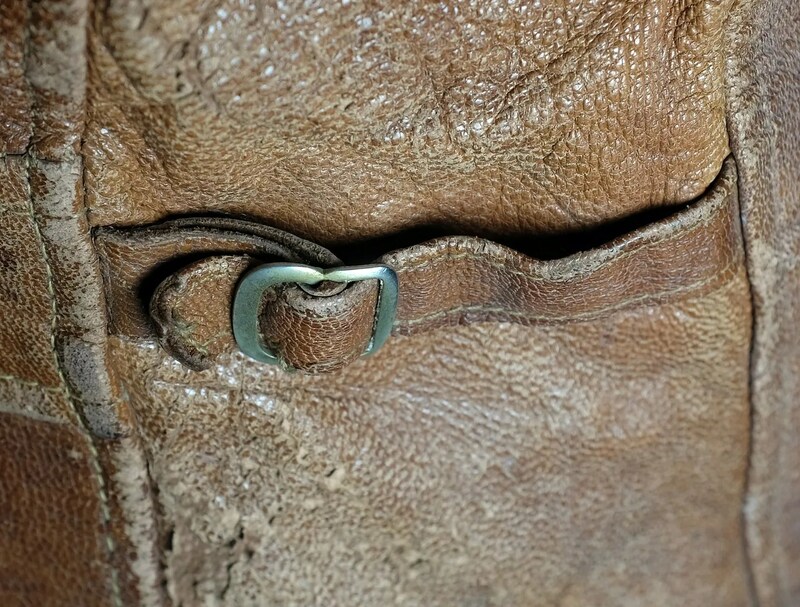 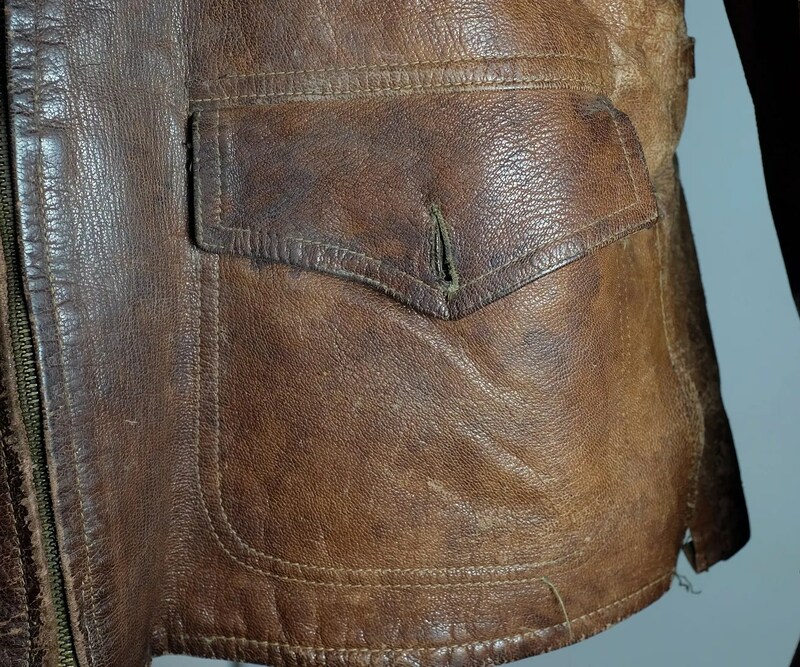 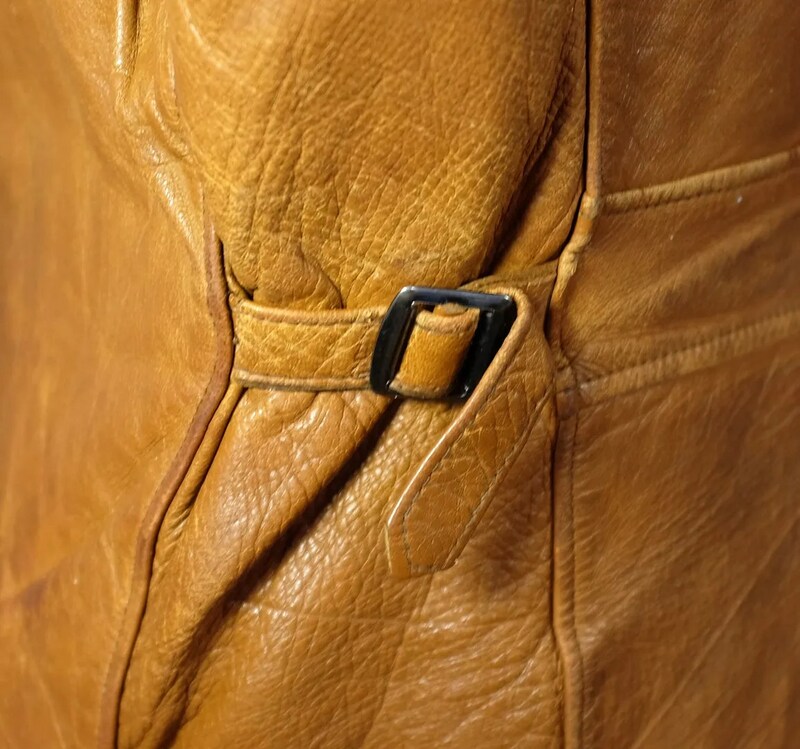 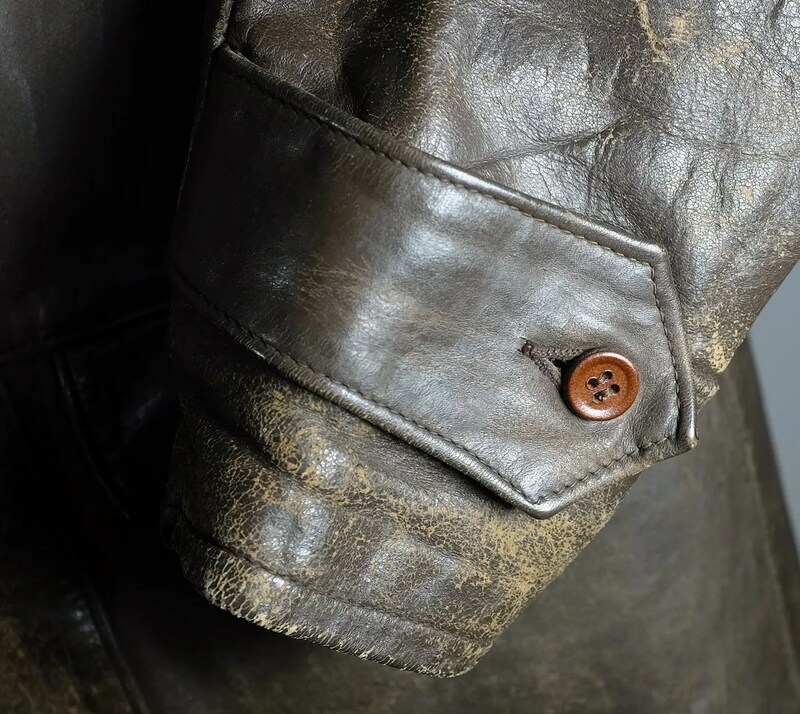 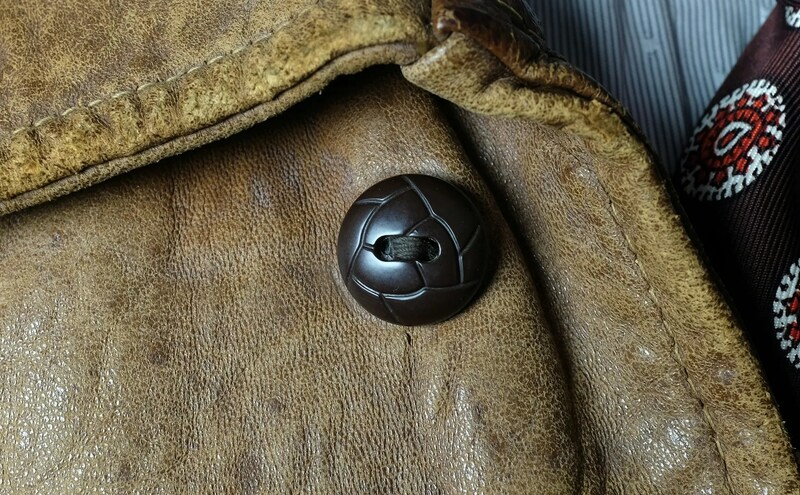 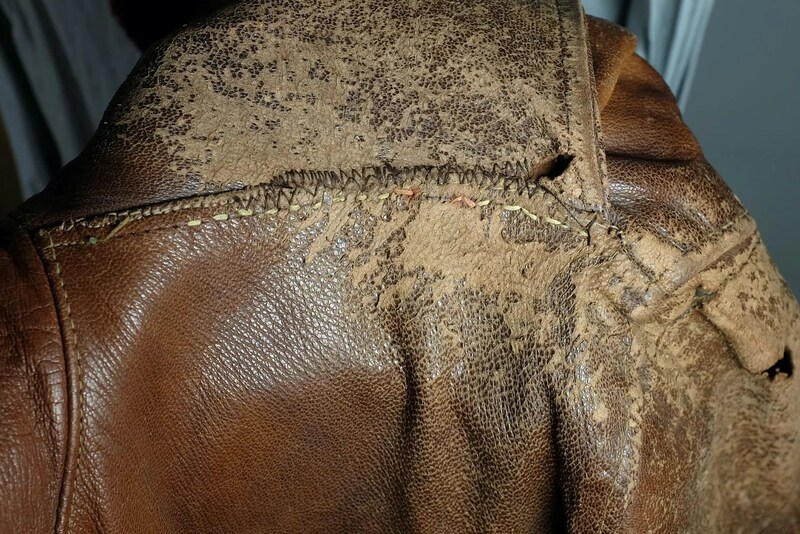 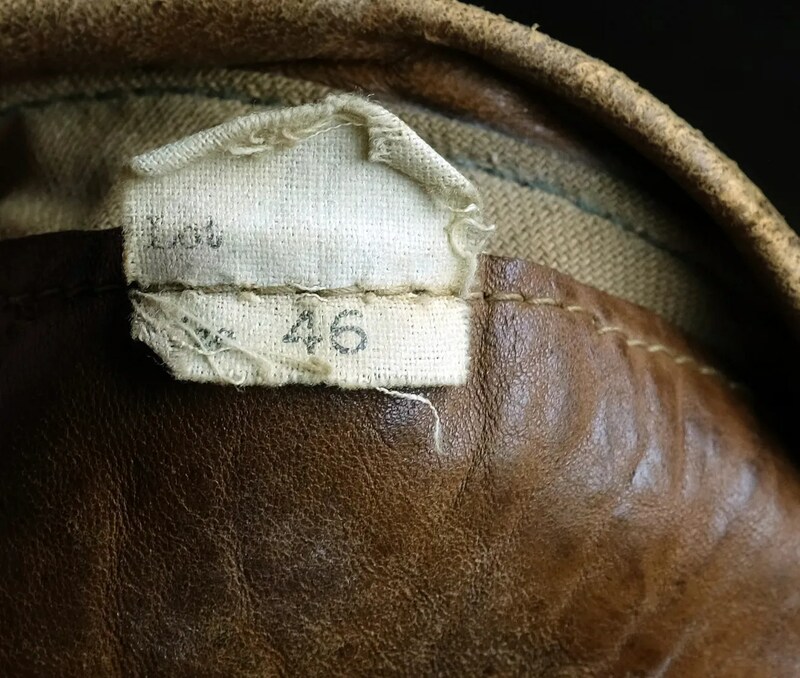 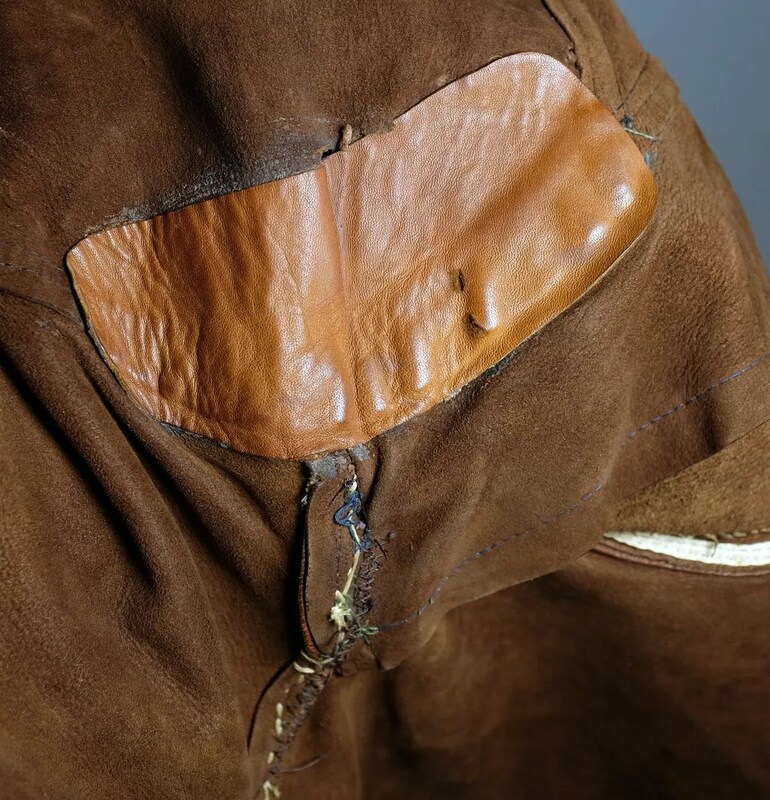 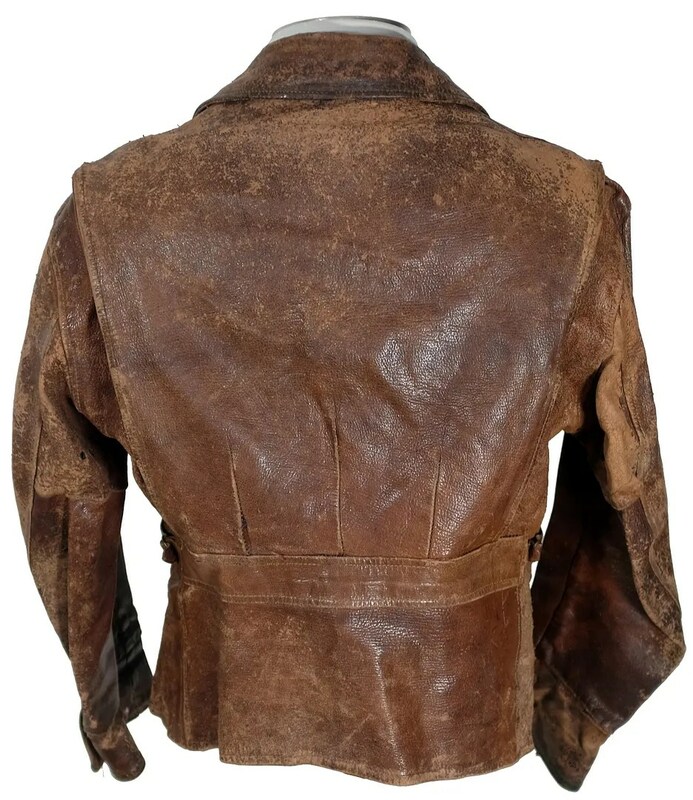 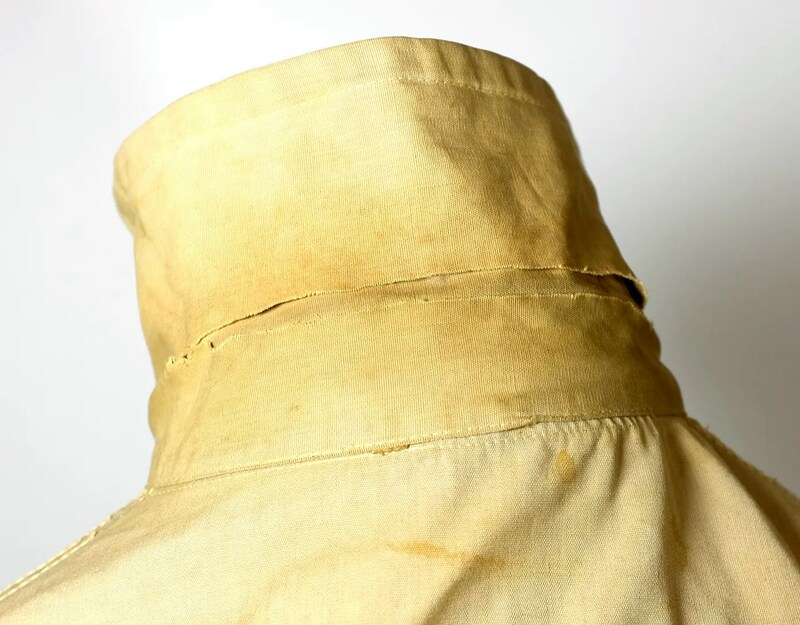 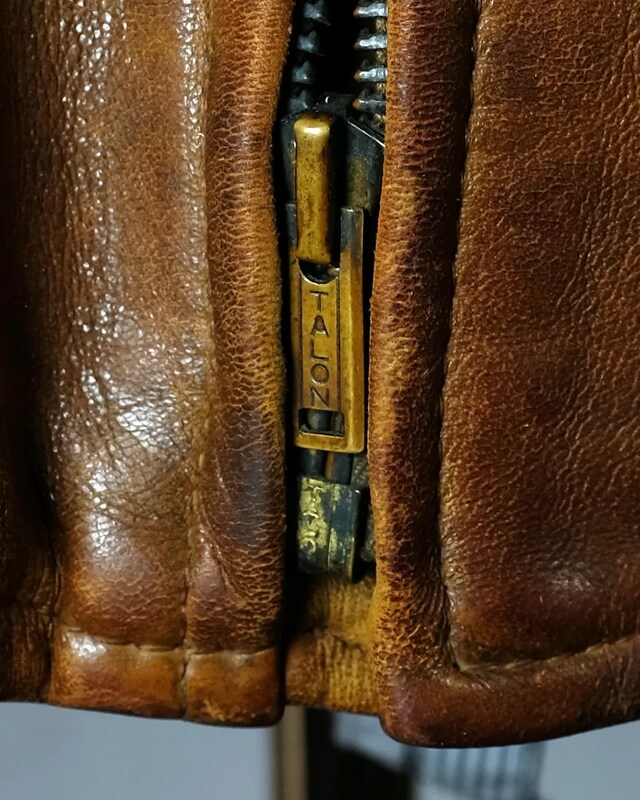 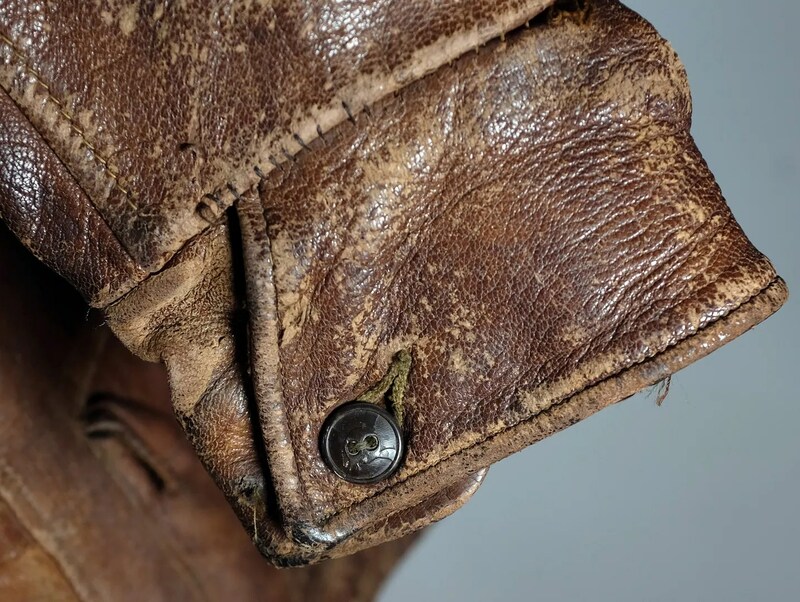 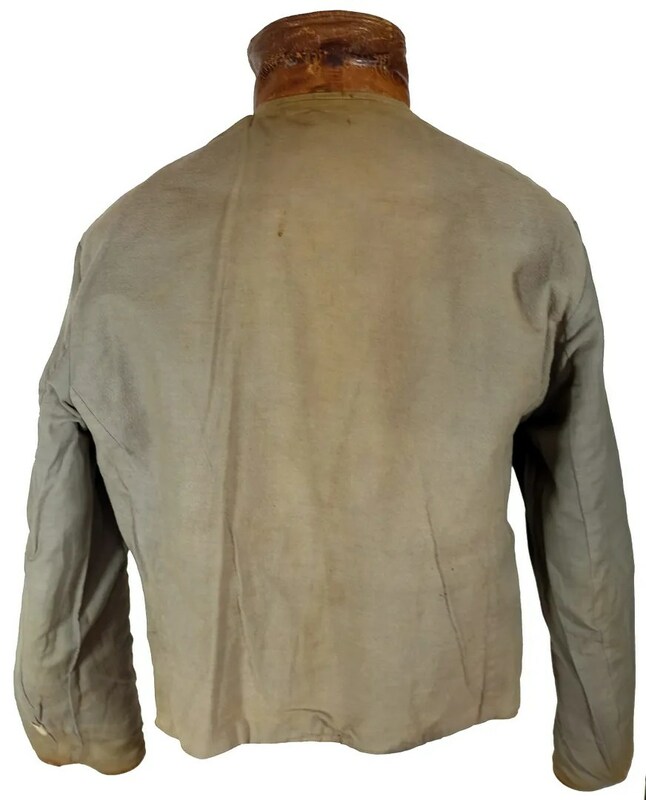 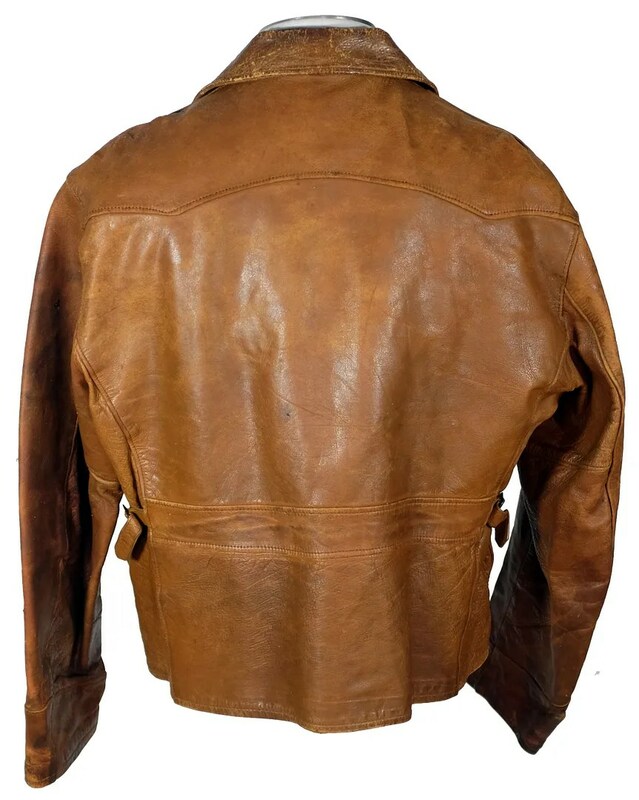 This vintage leather jacket was made in the late 1930s-early 1940s. 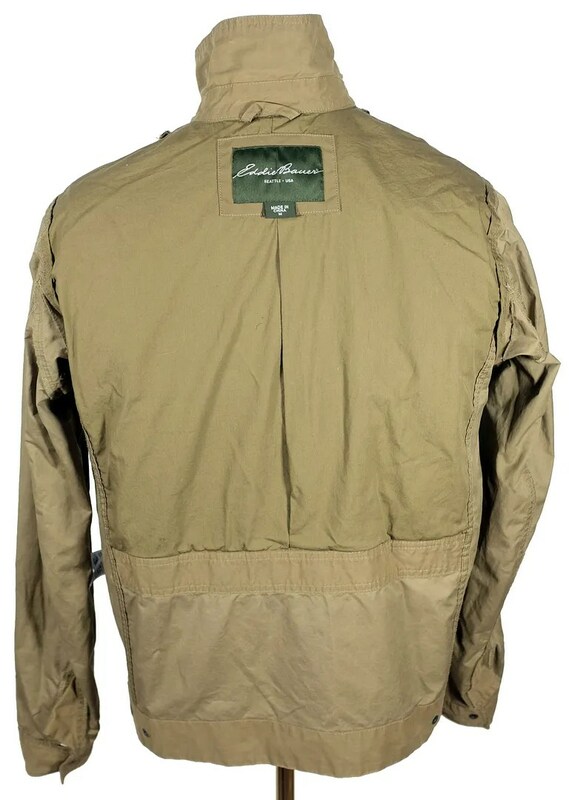 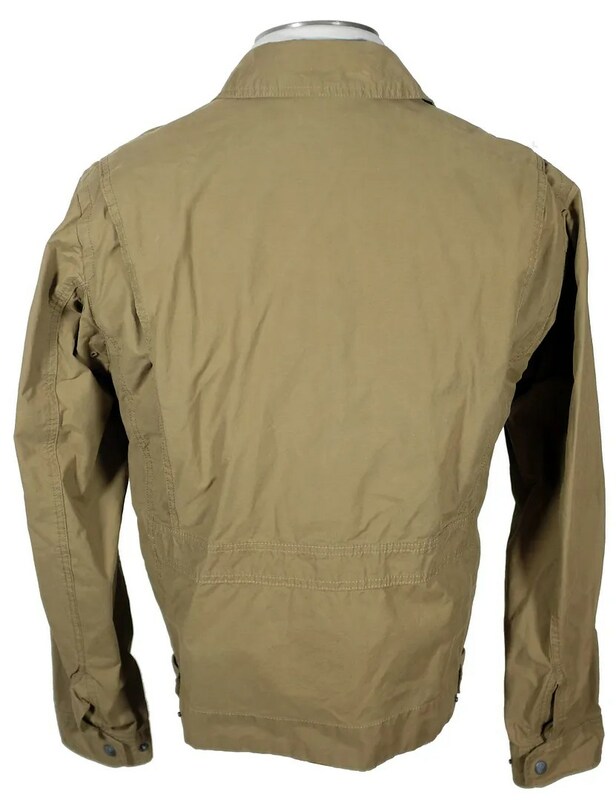 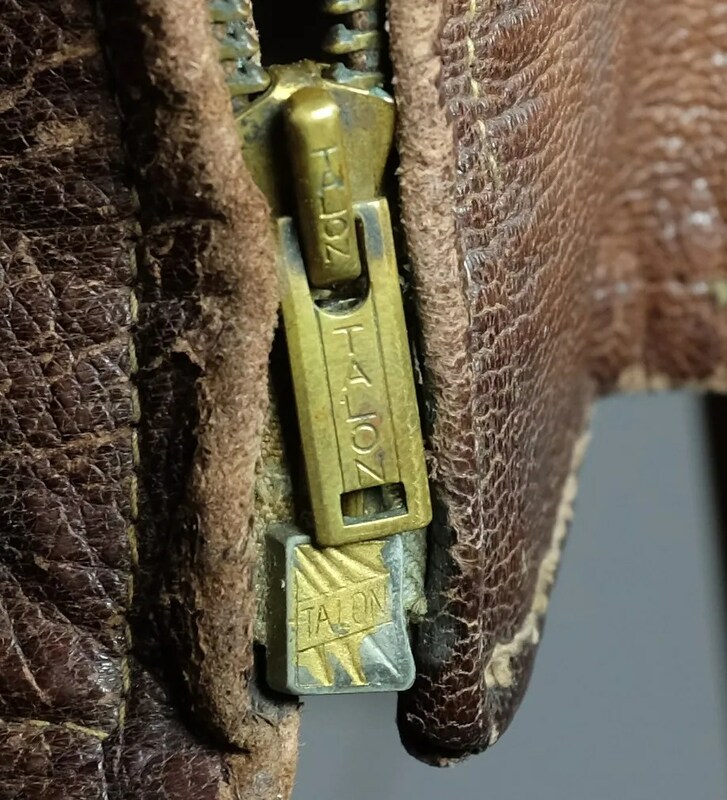 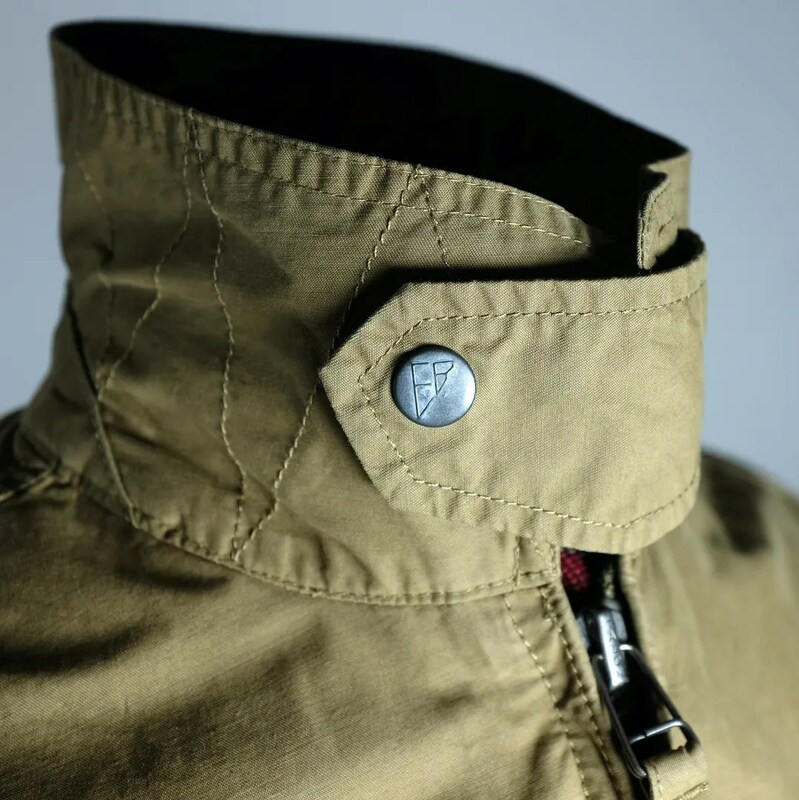 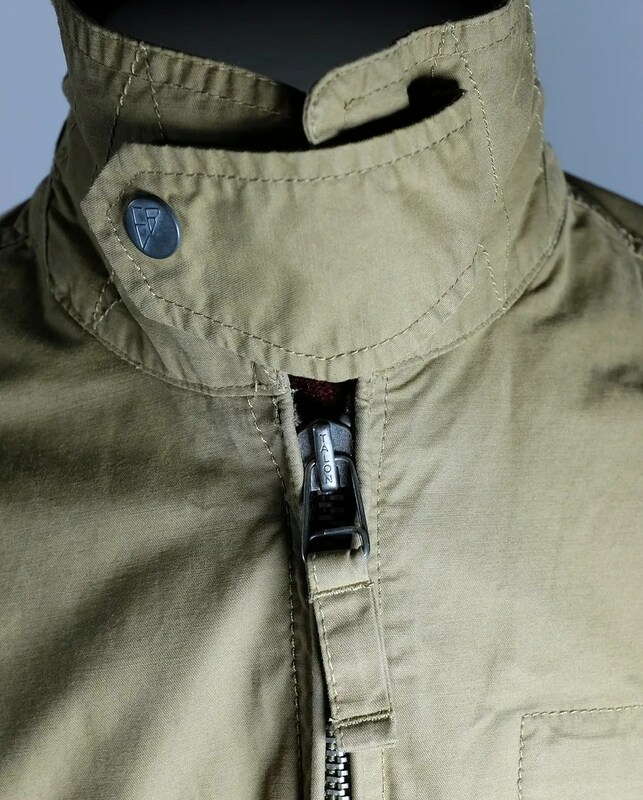 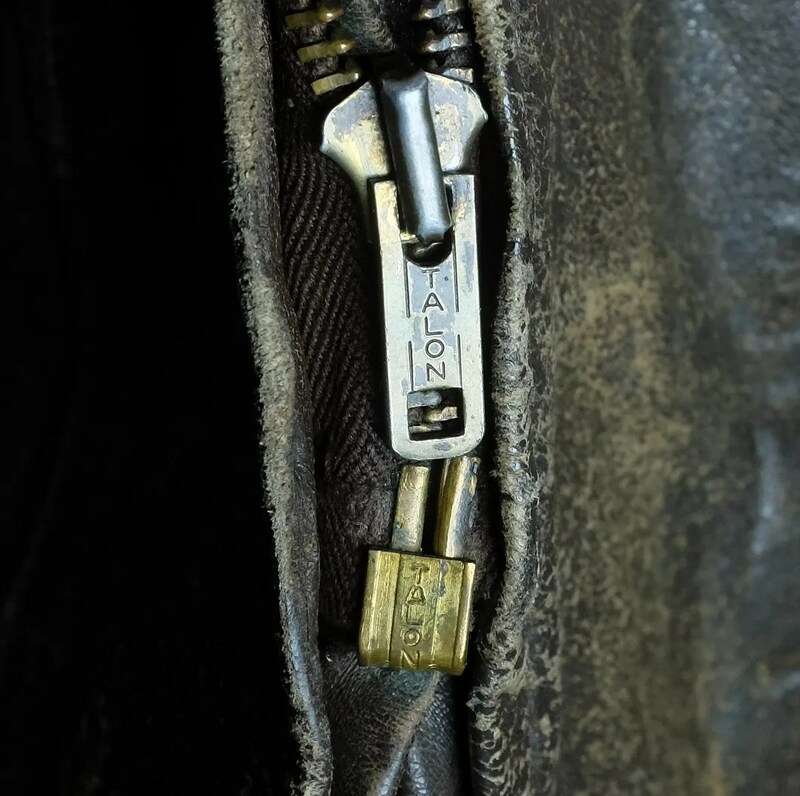 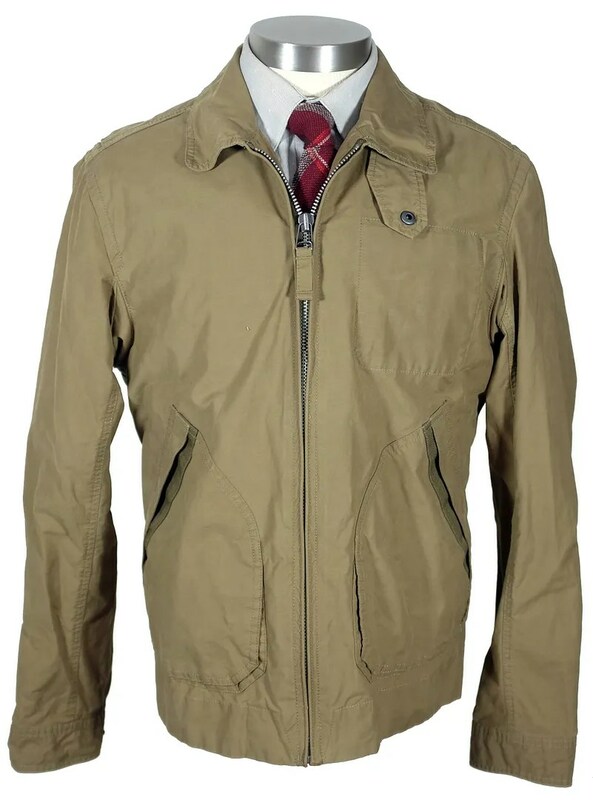 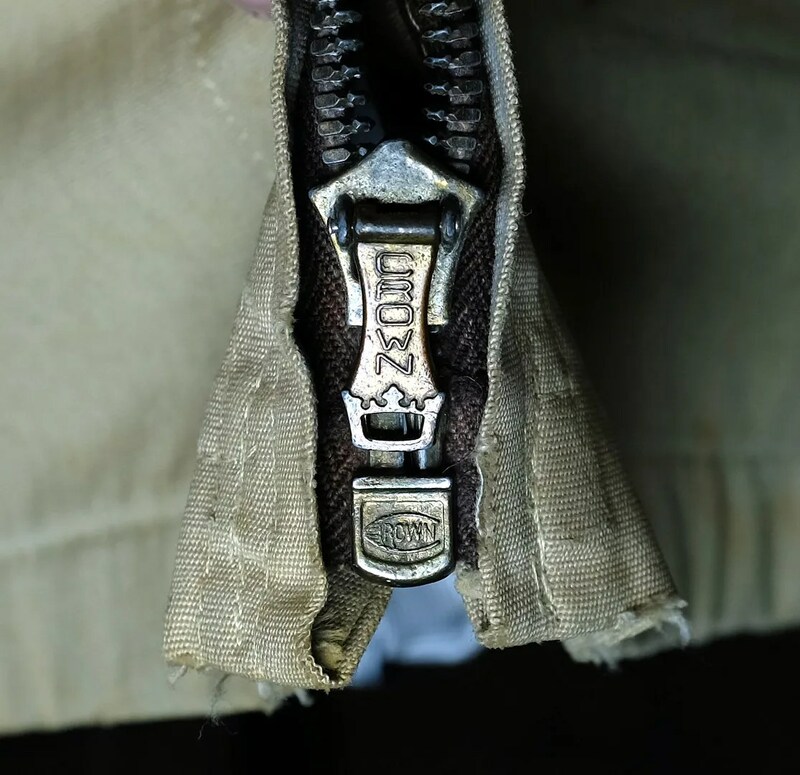 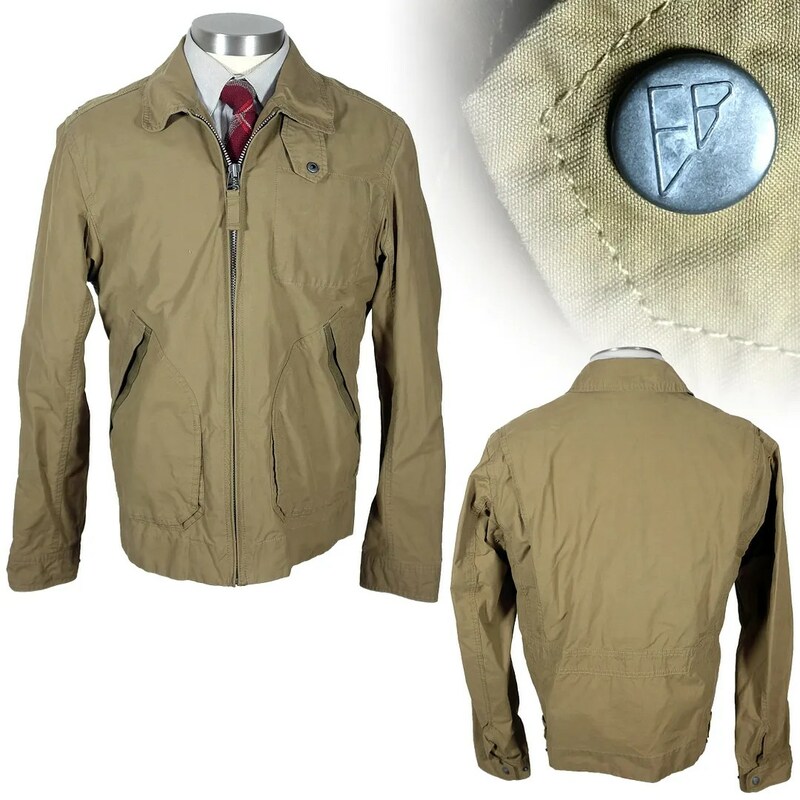 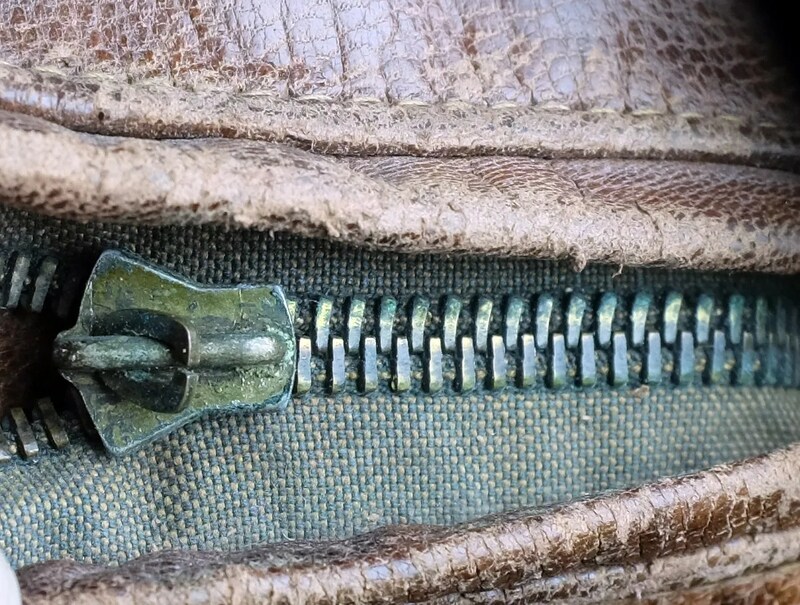 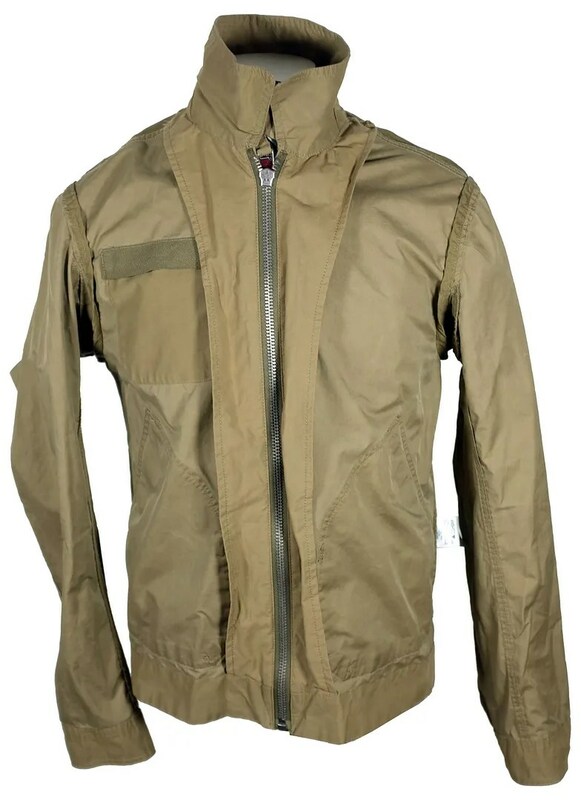 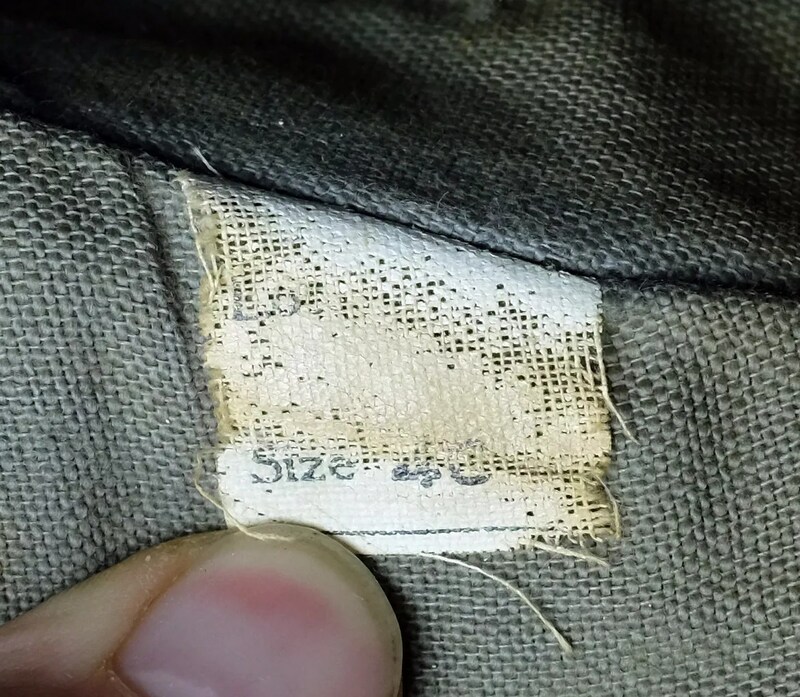 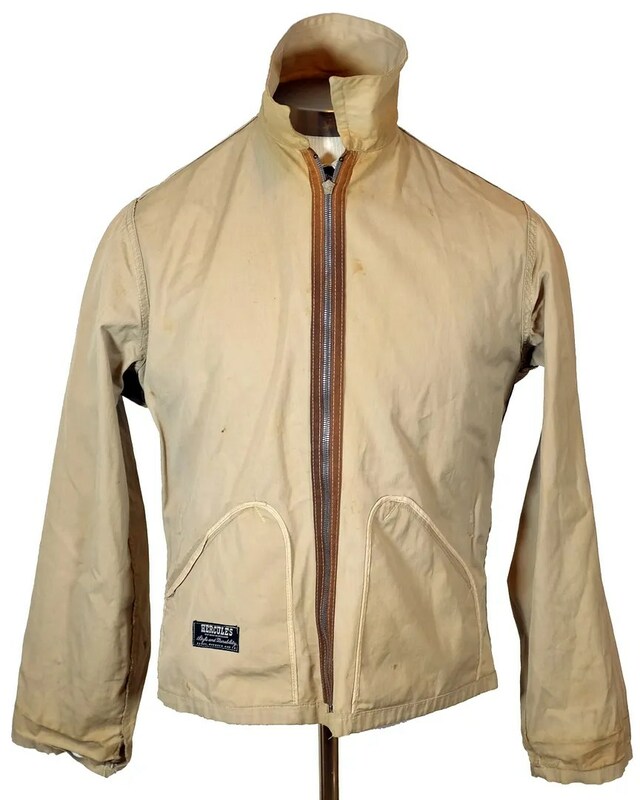 It has a pleated half-belt back, a Talon zipper front with sunburst stopbox and a zipper on the breast pocket which I have never seen before. 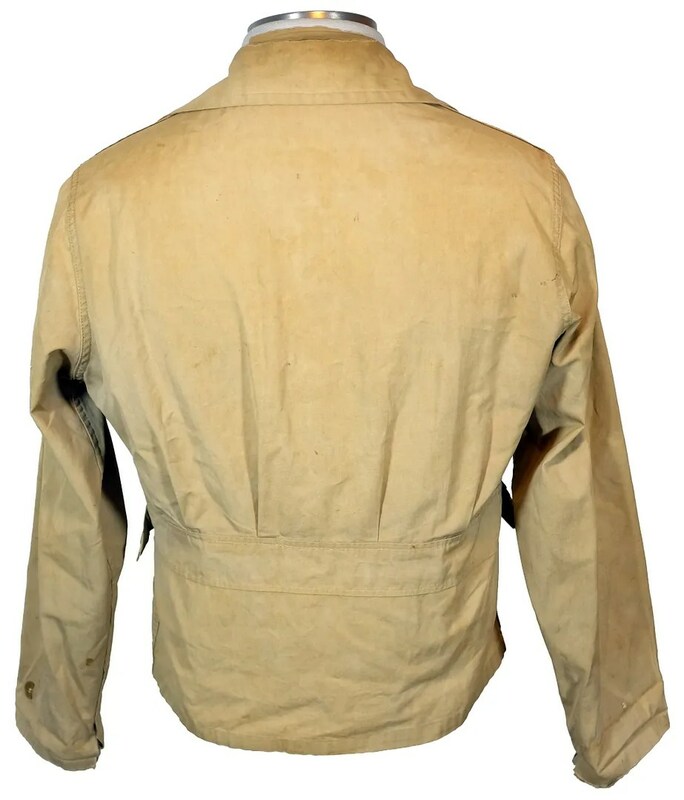 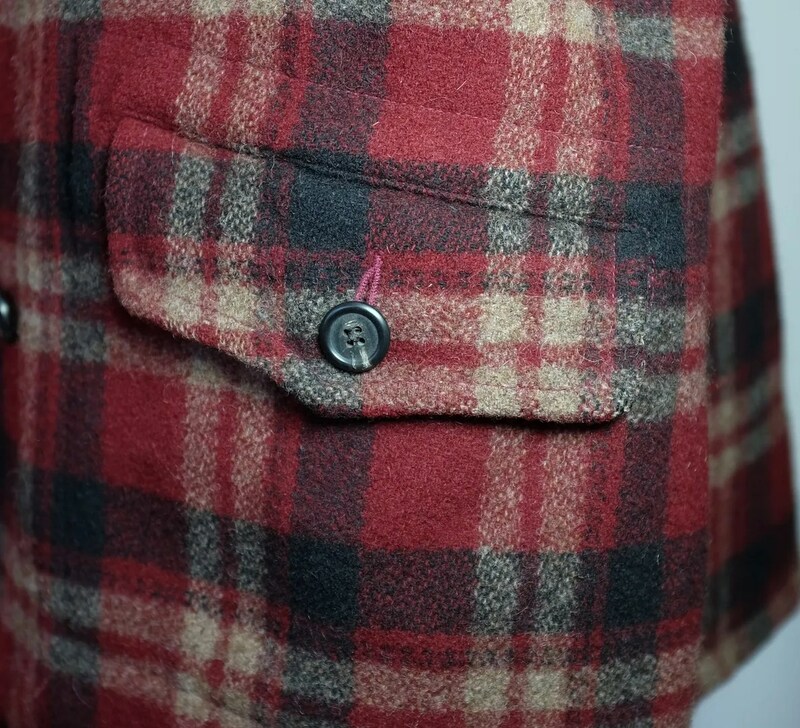 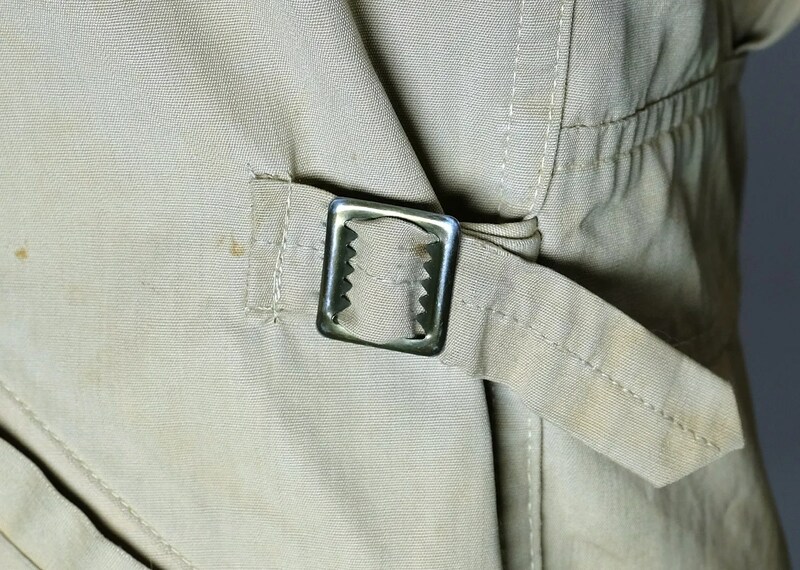 The pockets are flapped and it has button cuffs. 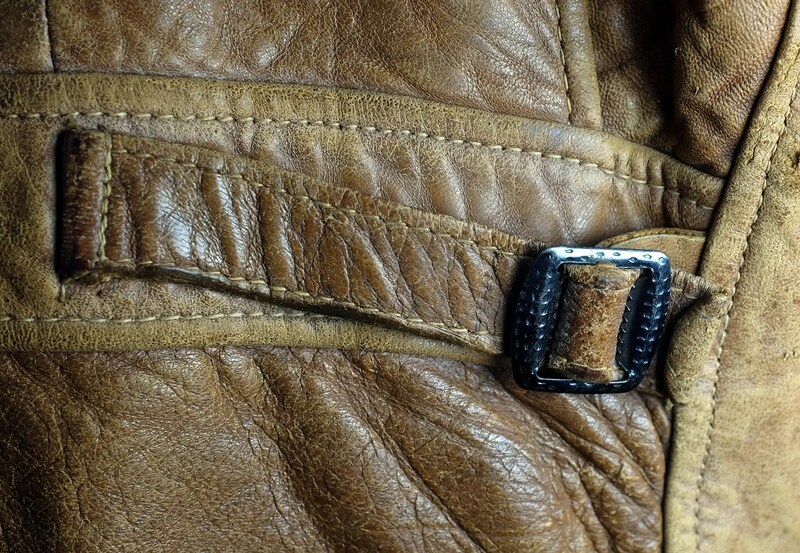 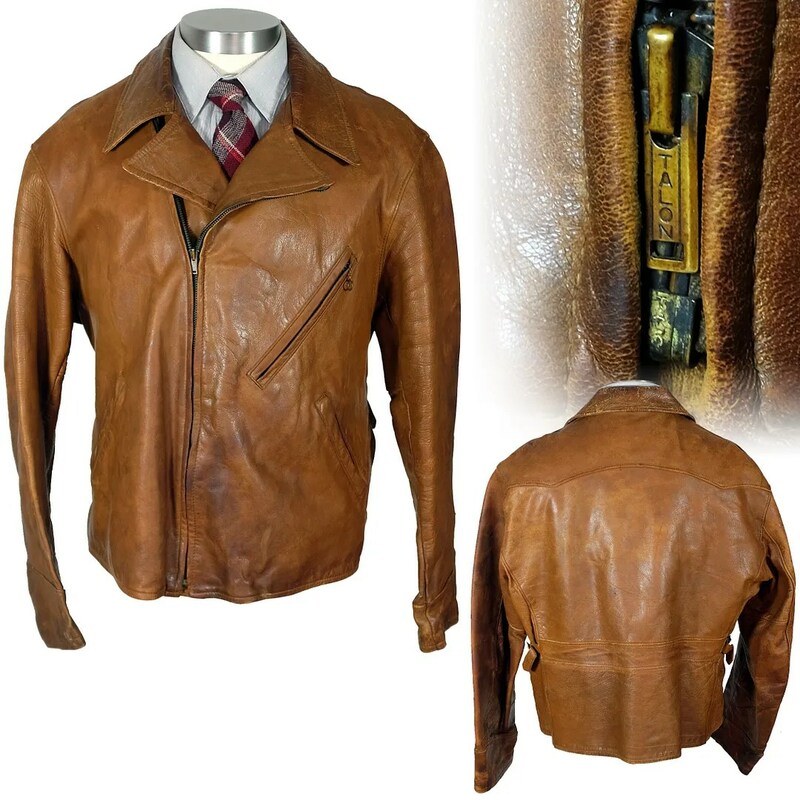 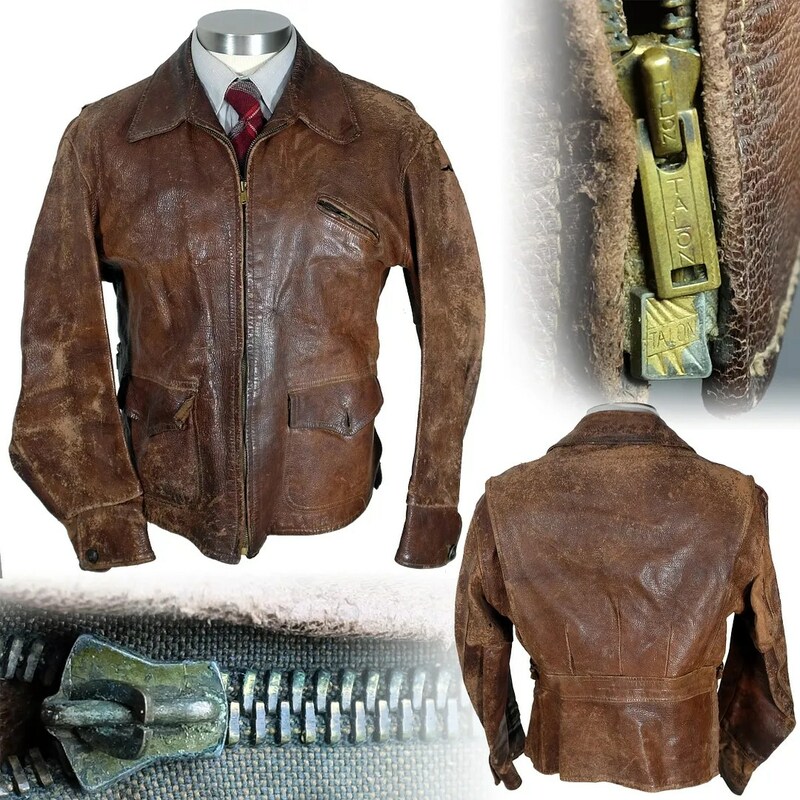 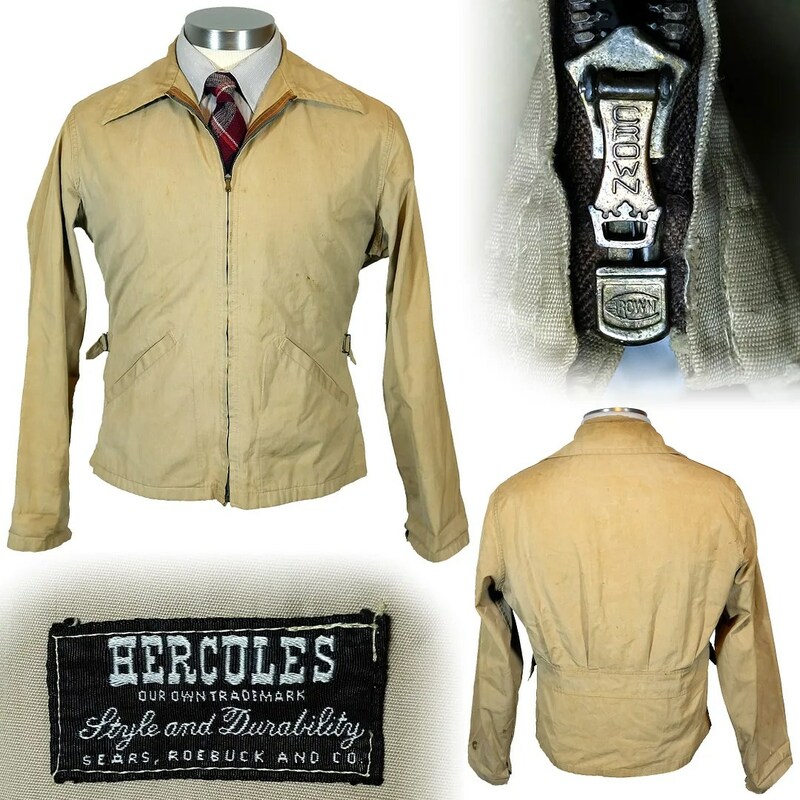 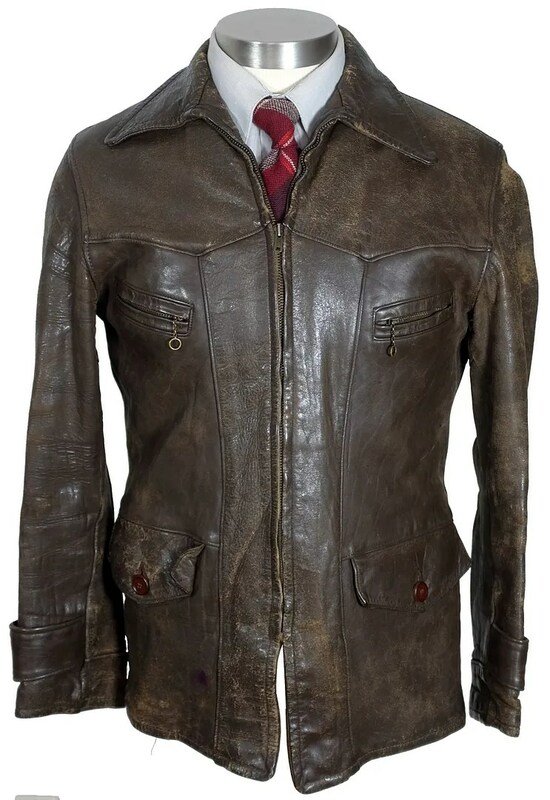 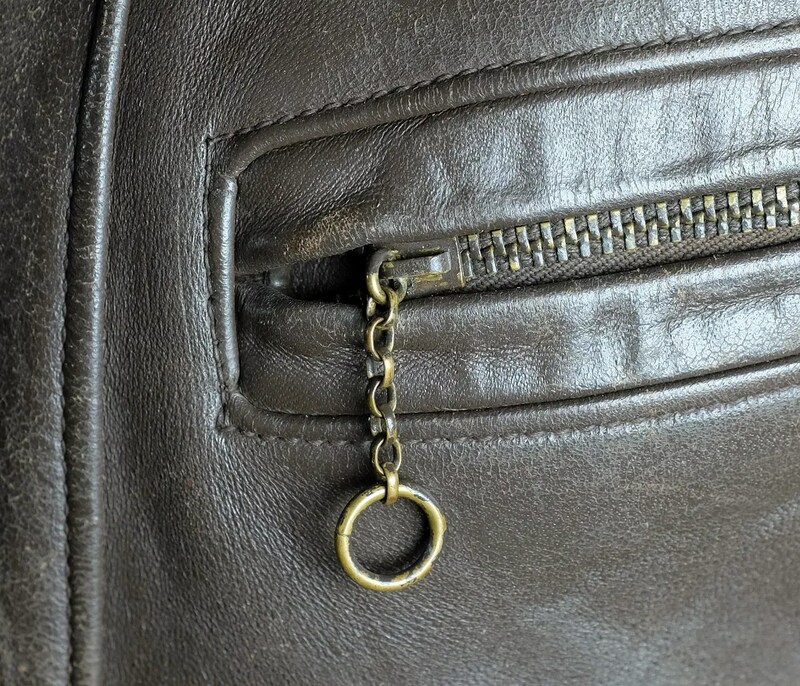 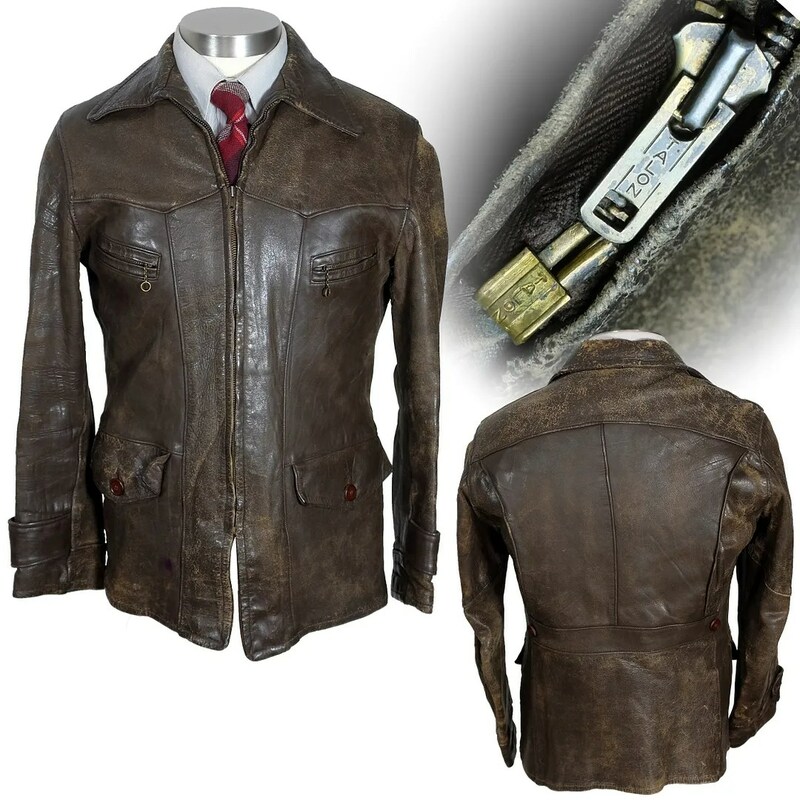 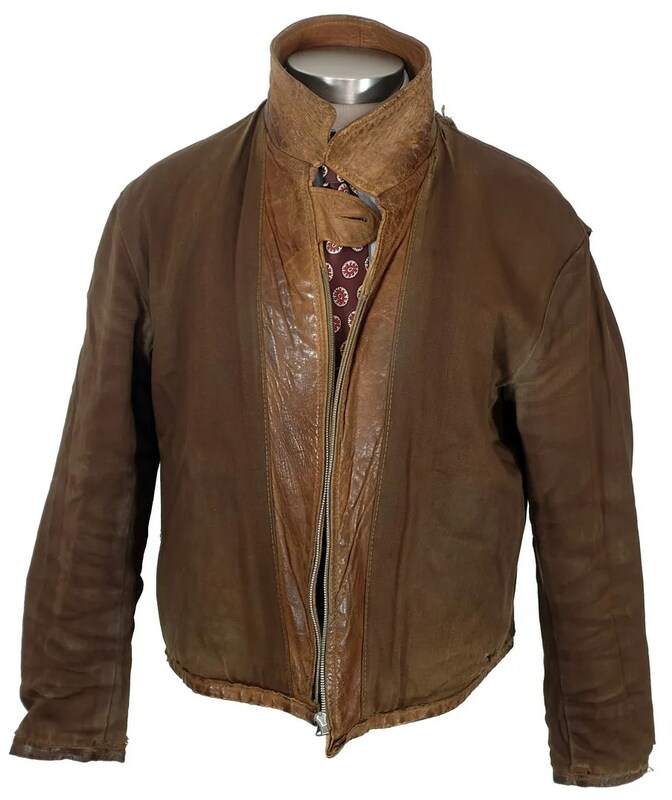 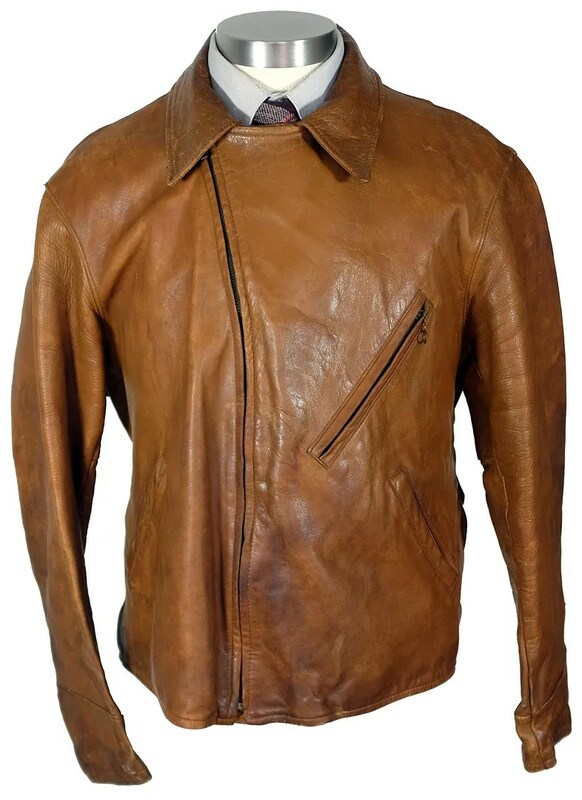 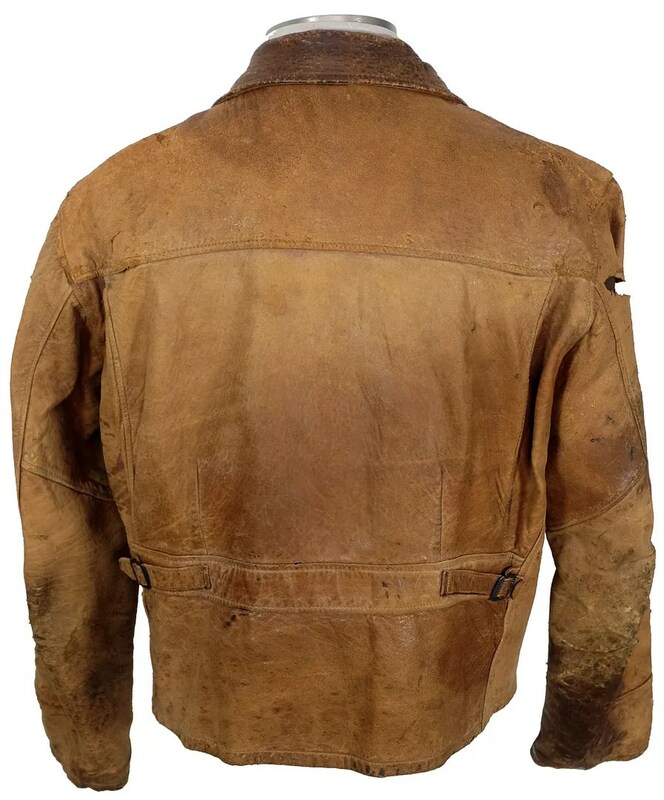 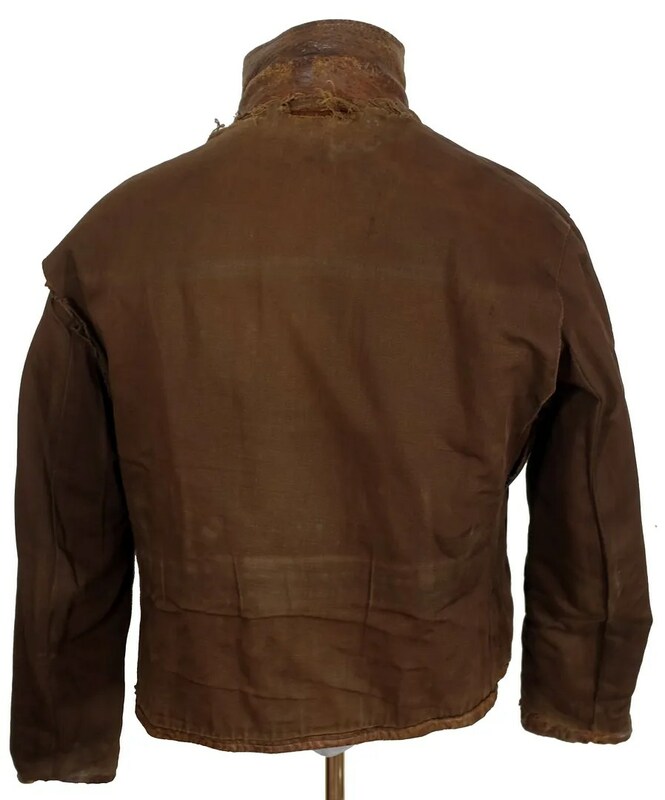 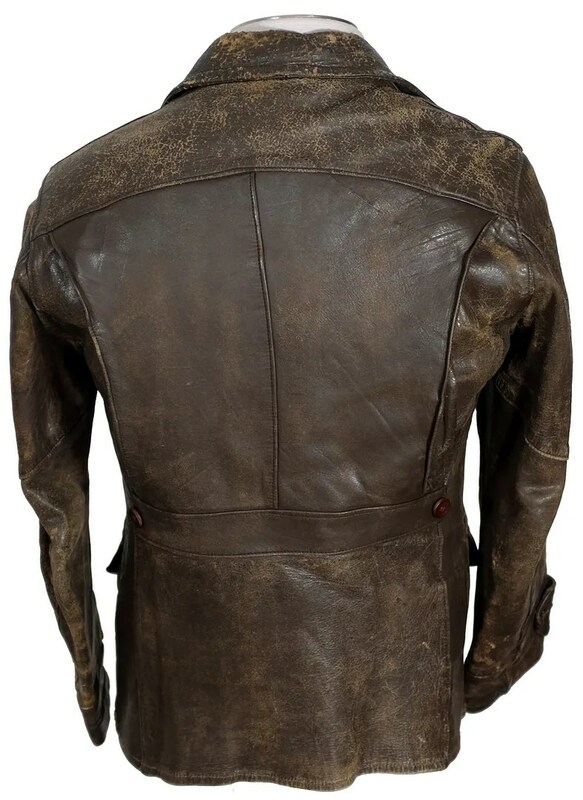 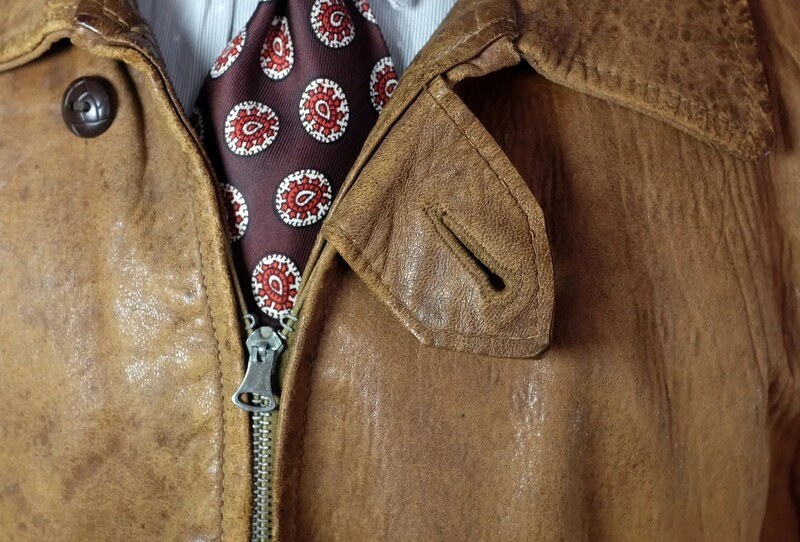 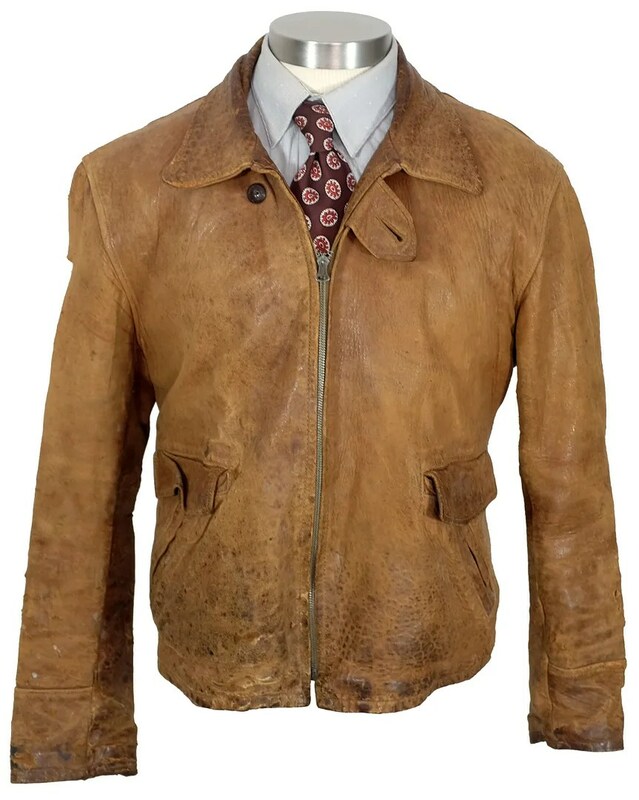 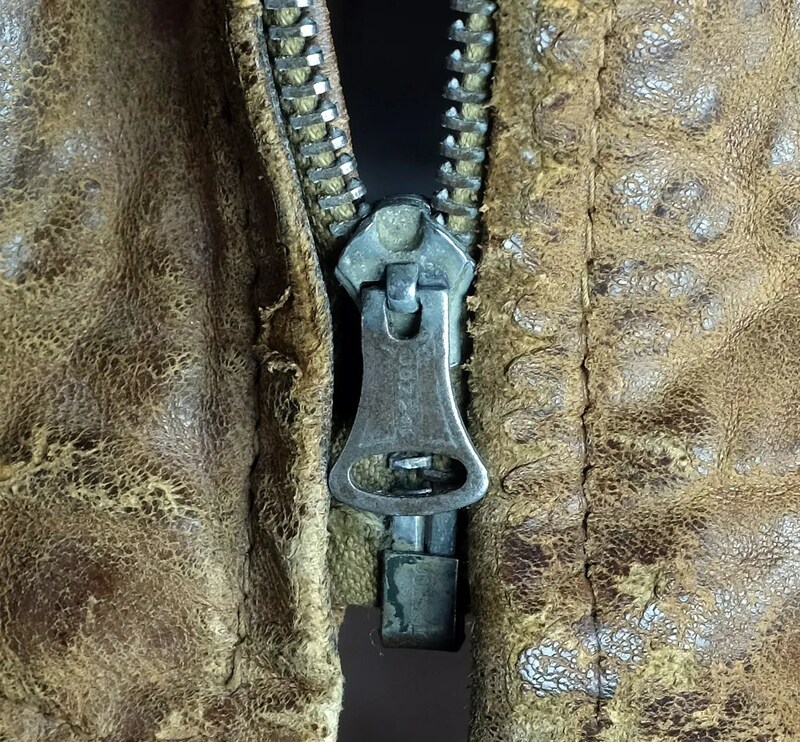 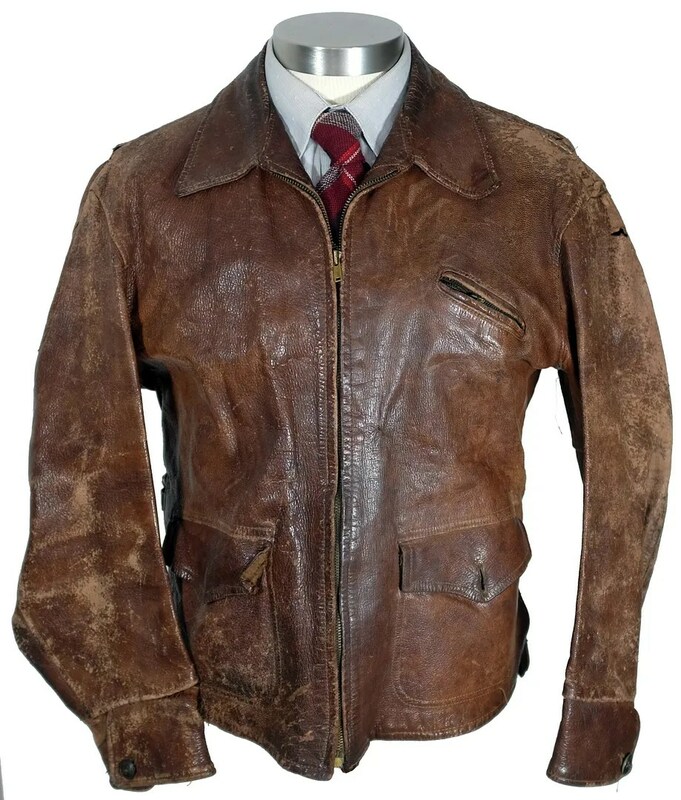 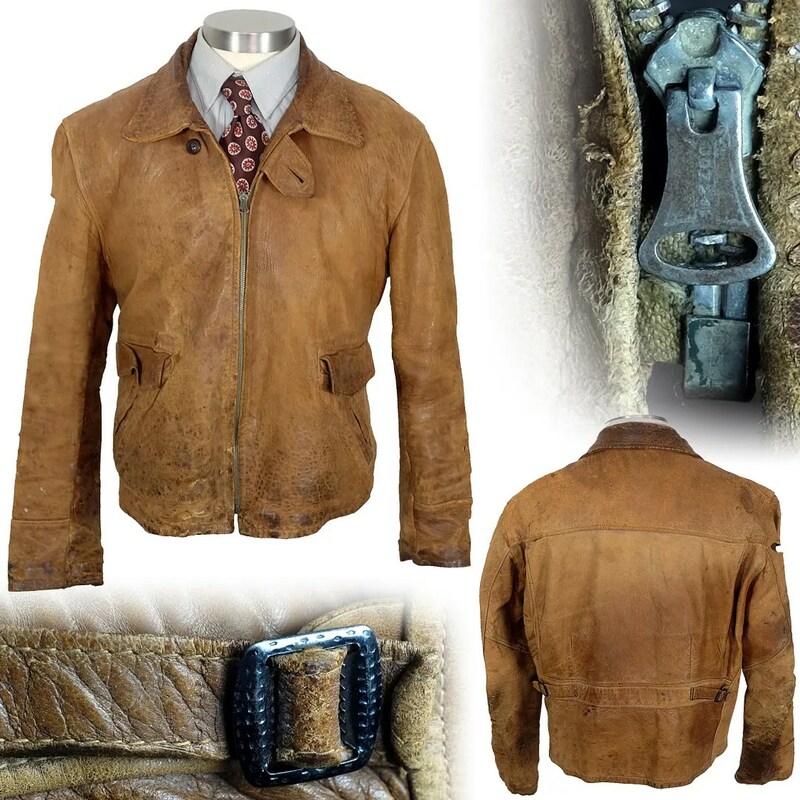 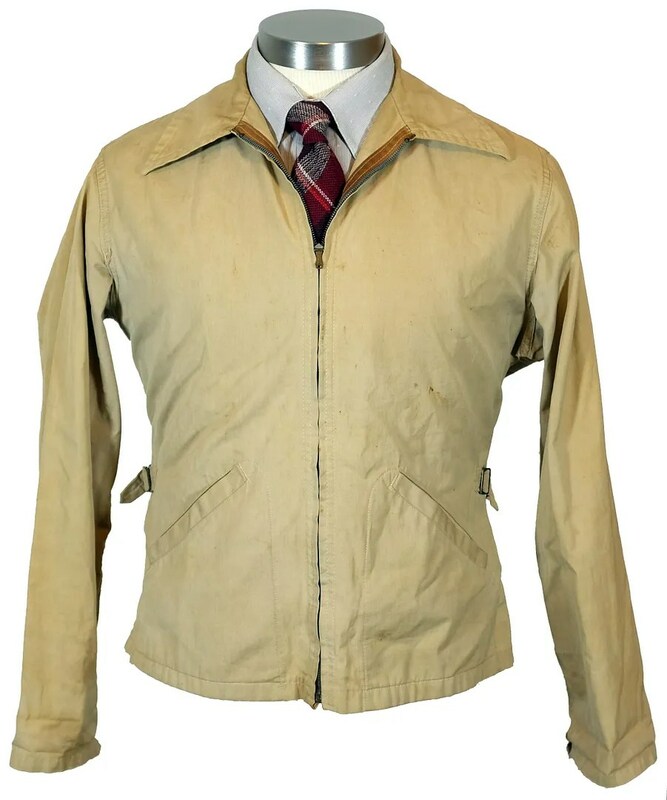 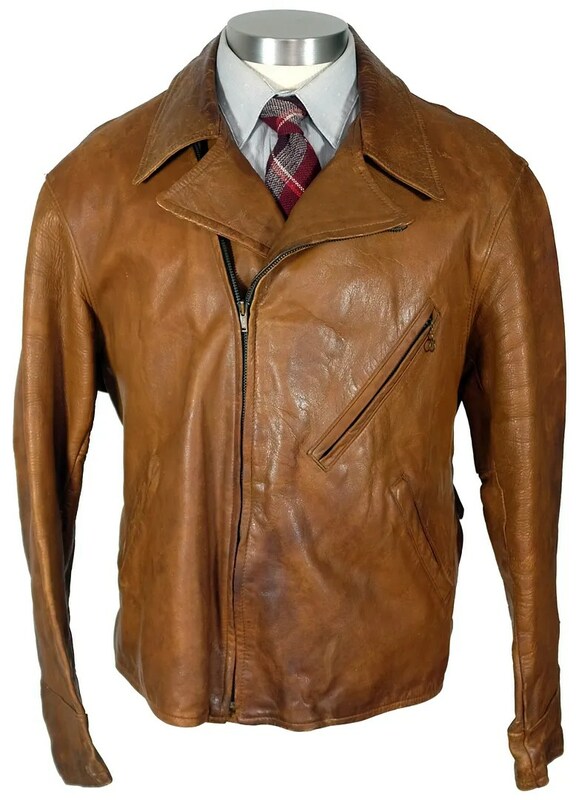 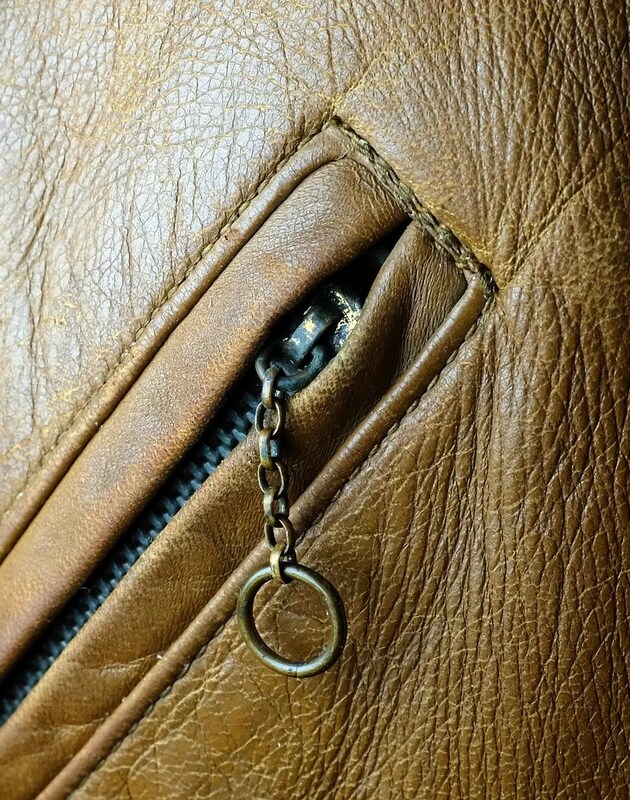 This vintage leather jacket was made in the mid to late 1940s. 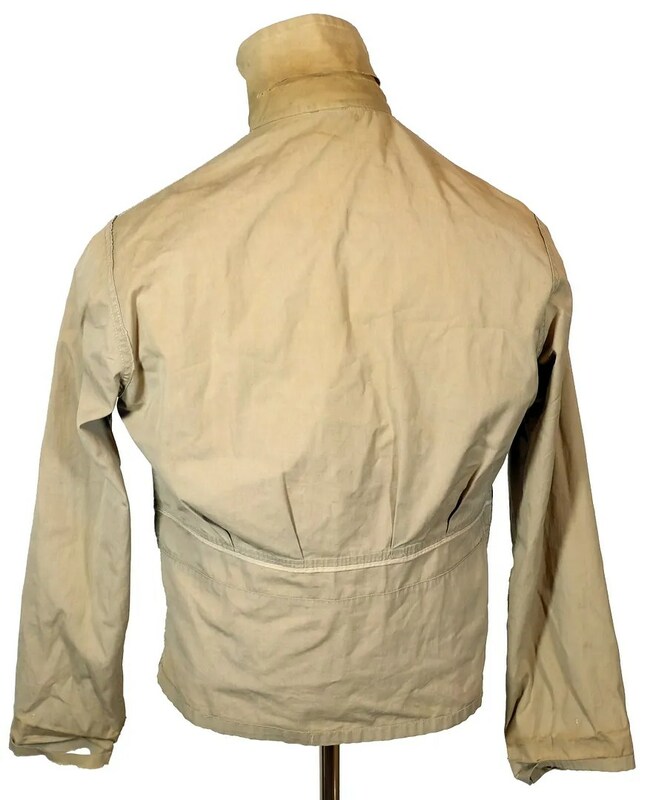 It has a yoked front and back with double breast pockets, button adjuster cuff straps, a belted back and a Talon zipper front. 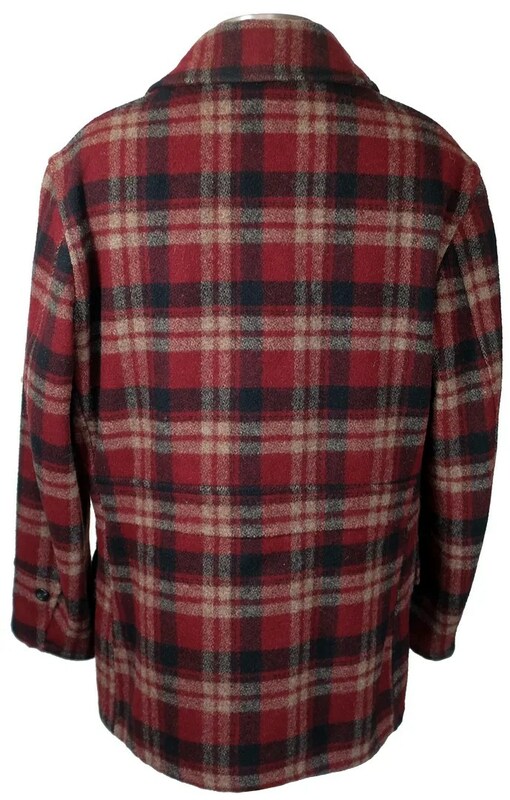 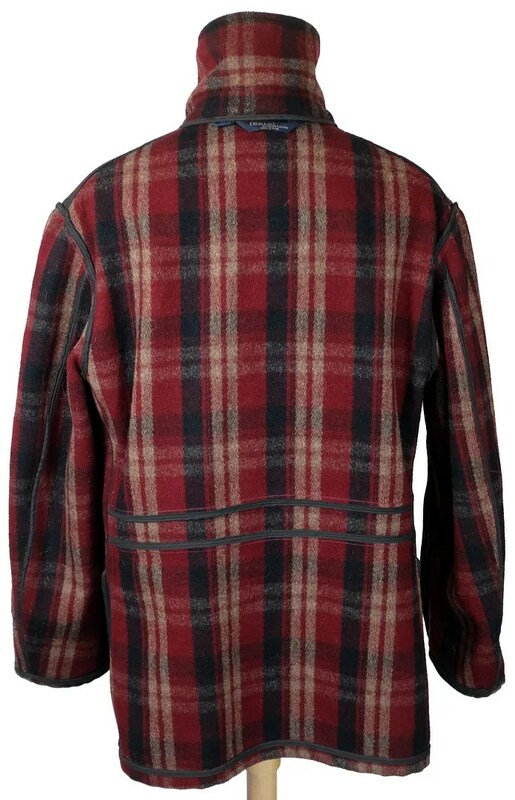 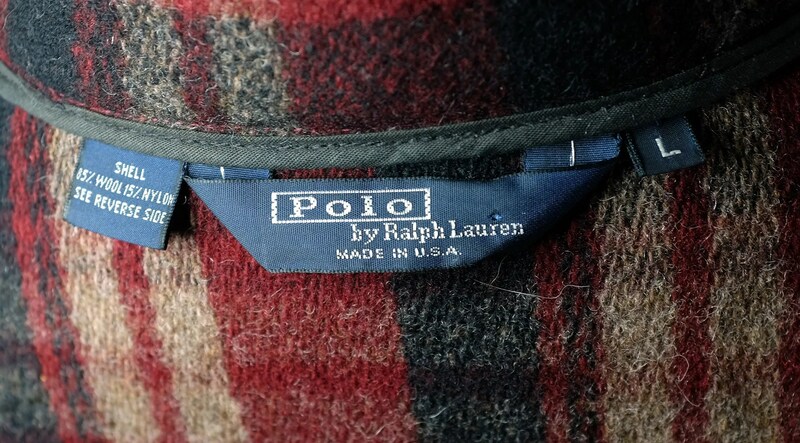 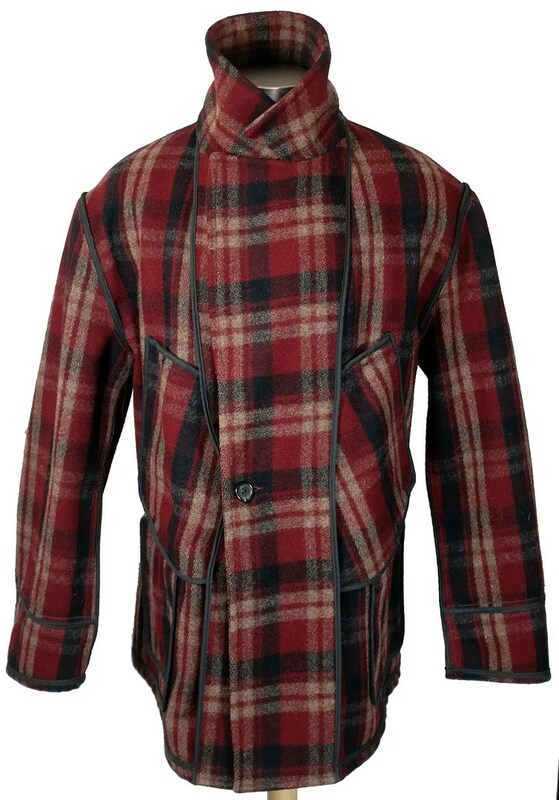 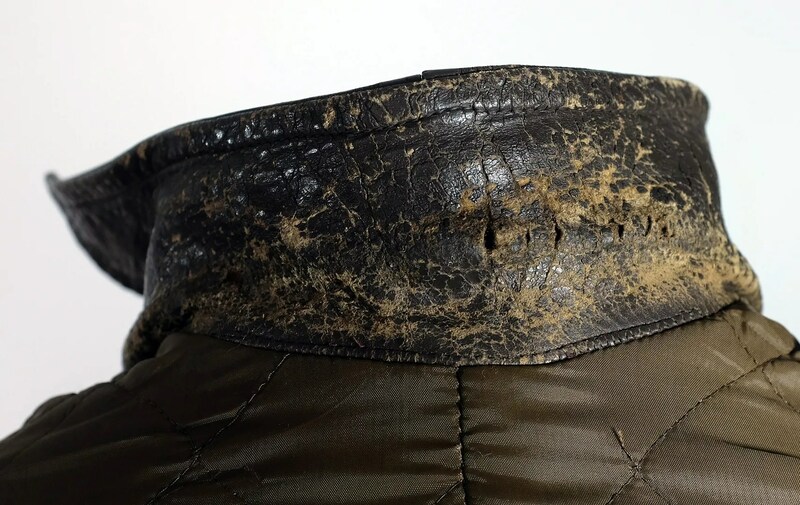 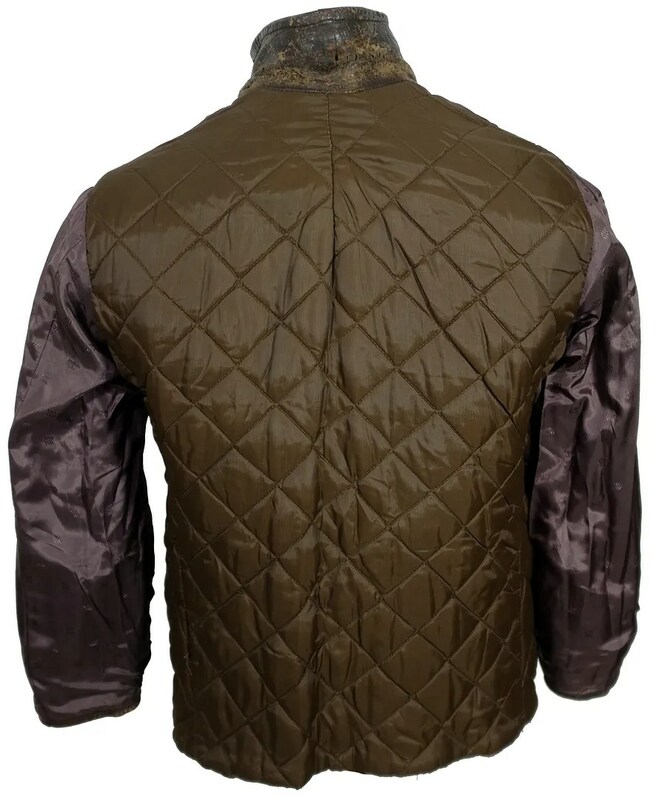 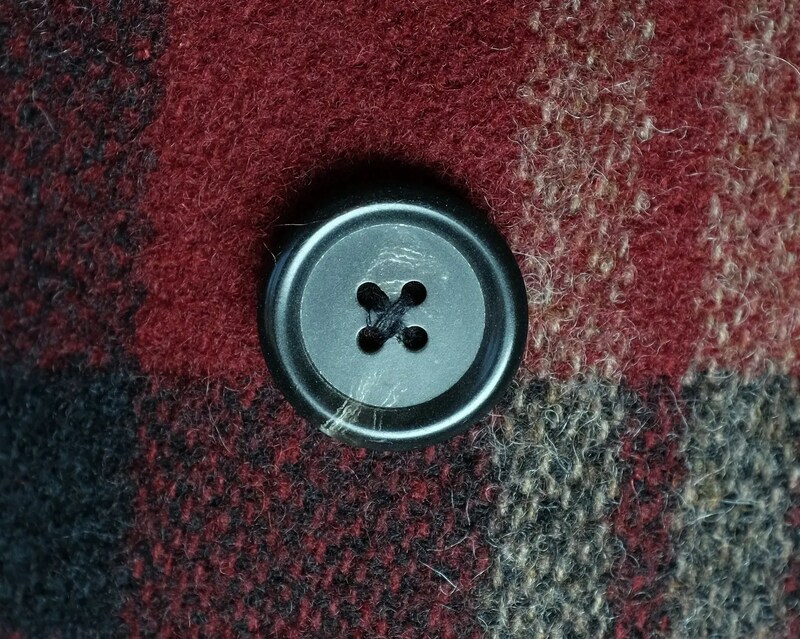 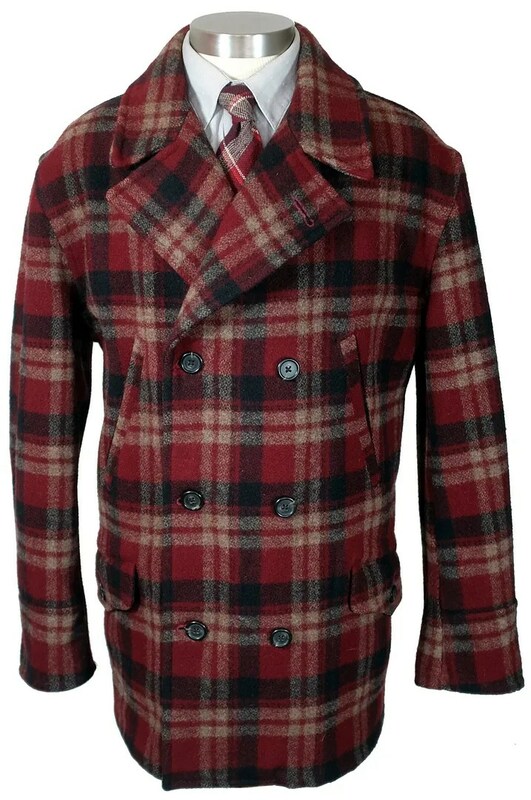 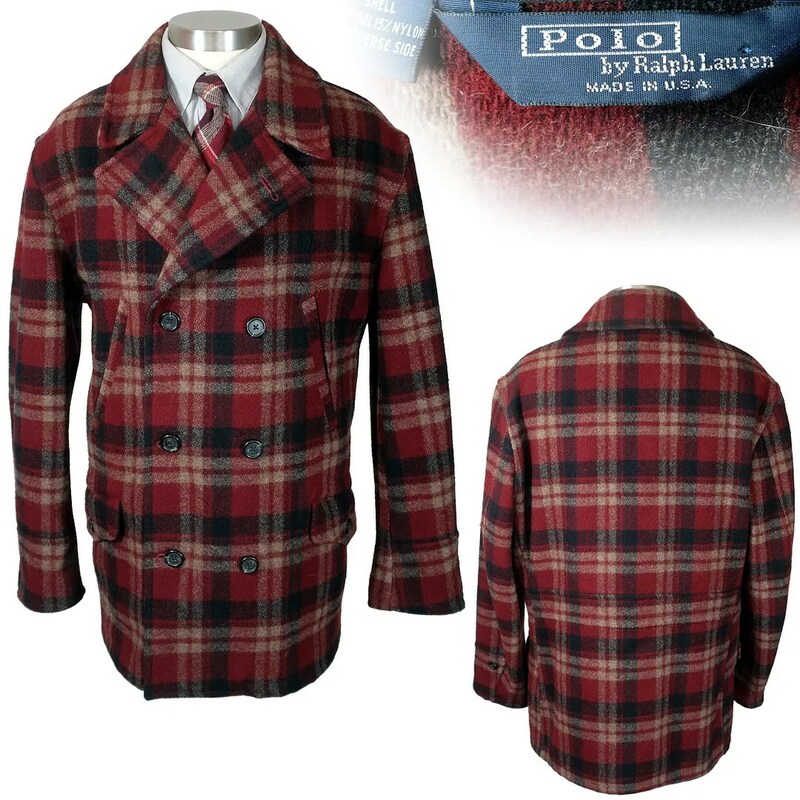 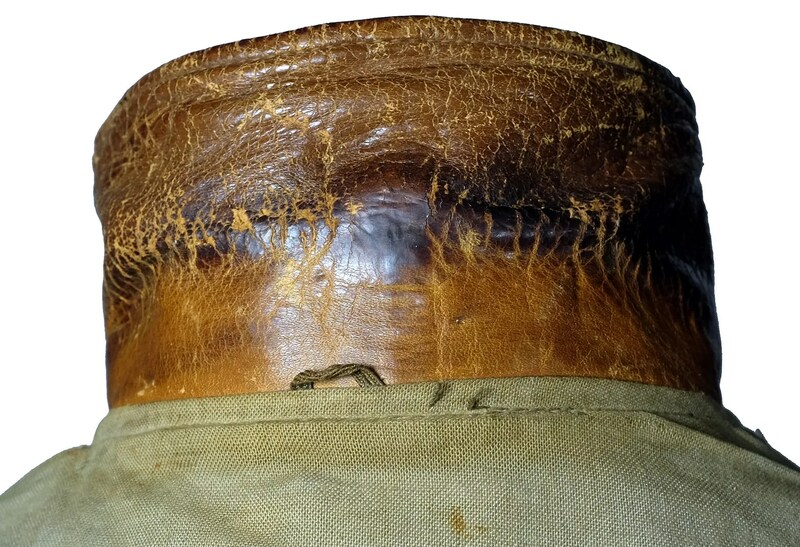 It has a quilted lining.